Every spending decision, no matter how large or small, should be thought out so you avoid making spending mistakes. I’ve felt regret or frustration even with the smallest spending decisions, like buying coffee out when I could have made some at home, grabbing takeout when I could have planned on making dinner, and so on. These may not be large purchases, but those small spending decisions can really add up to a lot if you aren’t paying attention to how they are affecting your long-term financial wellbeing. If you are wanting to keep better track of you spending decisions, understand which areas you are overspending in, and how you can save for your future, I highly recommend that you check out Personal Capital. When it comes to the larger spending decisions you are making, it’s even more important to consider whether or not that purchase is worthwhile. Sometimes these large purchases are things we need, like buying a new appliance, a new vehicle, and so on. But still, a “large purchase” can be whatever you want it to be. It might be $50 on a new pair of shoes or $1,000 on a new refrigerator. Now that we are living on a sailboat full-time, we’ve had to spend a lot of money on extras and upgrades for our boat. With every boat-related spending decision we’ve made, we have asked ourselves the questions I outline in this article to make sure each purchase is right for us. Whatever the cost of your spending decision may be, asking yourself a few questions can help you save lots of money over the long haul. 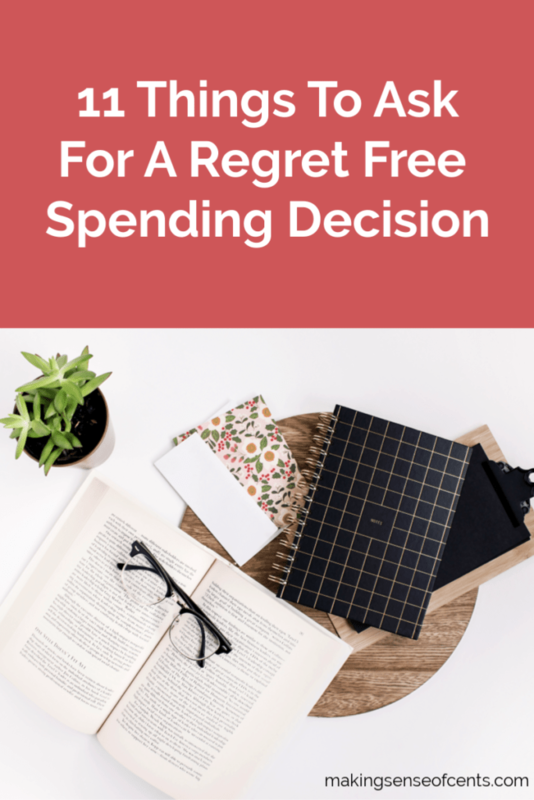 Plus, taking steps to make sure you don’t make another poor spending decision can help you can get rid of that regret you have from previous mistakes. The first thing you should do when trying to understand how a spending decision will affect your finances is to make sure that affordability is a top priority. If you can't afford it, then you should not be purchasing it. Now, that doesn’t mean you can’t eventually purchase that item, it might just mean you’ll have to wait a little longer. 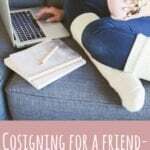 If that item is still something you really want or need, you might want to consider some creative ways to make money to help fund that spending decision. Before making that large purchase, you may want to think about how long it took you to earn money for the item you are wanting. Just think about it – if something is $100 and you make $20 an hour, then you had to work five hours in order to purchase it. If you still think it's a worthwhile spending decision, then go for it. But, if you don't think that item is worth the five hours it took you to earn it, then you may end up regretting the purchase later. Before making a large purchase, you should think about how much something is going to cost you in the long run. 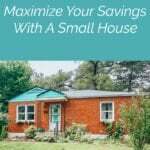 A home is really good example of how hidden costs can lead to spending more than you can actually afford (read more about this in Is Too Much House Making You House Poor?). How much are you paying in interest? If that large item will require you to take out a loan, then you need to understand how much extra you are going to be paying in interest. Trust me, those interest charges can add up. Plus, understanding how much you are spending in interest will help you figure out how you are going to pay off your debt quicker. How much will it cost to maintain? Cars, homes, and other items have maintenance costs, which can vary widely depending on what you are purchasing. What future items will need to be bought as well? A pet is one good example of how you will end up buying more because of that original purchase. Adopting a new animal can be a wonderful thing for your family, but it should never cause you to spend more than you can afford. This is especially true if you are thinking about financing a pet, which I find ridiculous. Yes, people actually do this! The bottomline for this question is that you should always remember to add up the total cost of your spending decision. Before making a large purchase, you may want to think about what other things you could possibly be using this money for. This can help you decide whether or not you truly need to make that purchase. 5. Which spending decisions have been mistakes in the past? You should always ask yourself if past decisions about similar purchases have made you happy or regretful. You never know, you may be about to make the same mistake yet again! 6. Can that large purchase wait 24 hours? If the purchase can wait 24 hours, then you should delay it. This will allow you to really understand the total costs, understand if it’s right for you, let any butterflies you have about the purchase go away, and so on. 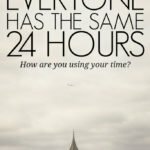 You will be able to make a much more rational spending decision if you think about it for at least 24 hours. Plus, for all you know, you may even realize that you don't need the item after all! Depending on the item and where you are looking, you may be able to save tens, hundreds, or even thousands of dollars. Even though it might take some time, you will be glad you did your research. 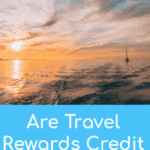 There are even websites like Ebates that allow you earn cashback when shopping online like you normally would, which can make a large purchase a little more budget friendly. You can earn $10 back when signing up through my link, and you can read my Ebates review here. Now that we live on a sailboat, we ask ourselves this question about nearly every item that we think about buying. When you live in a tiny space, pretty much everything needs to have a designated storage spot, and there's no such thing as “making space” on a sailboat. If you don’t have room for it, then there's a chance that you won't need it, or maybe this is a good time to consider downsizing and decluttering. A return policy is something you will want to look into when researching where you will be making your purchase. Stores, online and offline, may have differences in cash back or store credit, timeframes, warranty information, and more. Not understanding a return policy can turn that large purchase into a huge mistake if you needed to return the item. Finally, the last question you should ask yourself is if you actually need the item. I know this sounds like a no brainer, but many people don’t take the time to ask themself this simple question. The reality is that this is one of the most important questions to ask when making a large purchase (or any for that matter). Really dig deep to determine if it’s something you really need. Sure, you might think you need the item, but is it more of a want than a need? Your point #6, asking if the purchase can wait, is a big one for me. I usually try to delay any significant purchase because it’s really common for me to change my mind and decide I really don’t want whatever it is. And it also helps me to be more comfortable when I do decide to make a purchase, because I know I didn’t rush into it. Yes, this definitely worked when I was younger and earning just $6 an hour, haha. Waiting to make a purchase has been a game changer for my husband and me! He was really opposed for a long time and did whatever he wanted, but I started using a Barclays savings account and it has really fixed that problem. Since it takes a few days for the money to transfer into our checking account, I’m not the bad guy making him wait, but it’s just as effective! He can’t argue about how keeping our money there makes sense, either, since the interest rate is 1.85%. Yes, waiting is so important! It’s really helpful tips on spending decision we should think over it. I will go thoroughly by the same. Thanks for giving us an attention to towards it. Omg #3 is such a good one. Prime example: My husband is DYING for a puppy (I mean, I am too! I’m not a monster). But the costs of vet visits and food and all the toys I KNOW I’d spoil lil pupper with are just not a priority in our budget right now. These are good reminders, thanks Michelle! A big one for me is thinking about how many hours it would take of me working to pay for the whatever it is that I want. It takes some of the sheen off what I initially wanted and works so well to make me not want as much! I am happier to save the money instead of buying something with it (which people in my family always thought/think is strange). I like #6. I think it’s really important to take a day or two to go decide whether or not to make that big purchase. You have time to think about the positives and possible negatives of making the purchase to determine if it’s worth it. This will provide you with like you said a more rational outlook. Great article. I’ve bought items in the past and regretted them later. Now I always look for sales discounts on last years models. Also I try to bargain if talking to a sales person in order to get the lowest price possible. Love this list! There’s nothing worse than buyers remorse… I definitely try to wait a few days/weeks to make sure I’m not impulse buying. I really like your point about the return policy, though! That’s a great thing to keep in mind. I am guilty of each of them – buying and thinking it was a bad decision or regretting that I should have used this for something else more important. #4 is a big one for me. 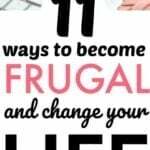 Over time, I have understood how to manage expenses, save money and be financially free – I always end up asking myself a few of these questions before purchasing anything – big or small. Really helps! Thank you these GREAT tips. #11 is really good to apply to sales and deals. Sometimes, you can find yourself being persuaded to spend more than you intended thanks to a coupon that has a bundle deal. Or you may rush yourself into buying something you don’t need simply because it was on sale for a very limited time. Buying what you don’t need, even if it’s a good deal, is still money wasted!